The International Olympic Committee announced on Friday that men’s and women’s 3-on-3 basketball has been added to the list of sports that will be a pert of the 2020 Olympic Games in Tokyo. The 3-on-3 game has long been a sacred part of street ball and pick up games across the country and there have been 3-on-3 tournaments in cities across the country for decades as this style of half court game has developed a life of its own. With this news and the creation of the BIG3 League by Ice Cube and Allen Iverson which gets underway in a few weeks, this has been a trademark year for the game. It is not known yet whether professional basketball players on the NBA level will participate in this event, but one can assume NBA players will likely not be involved with the event, as many will represent Team USA in the traditional 5-on-5 tournament. It seems as though this event will be more for athletes who train for this event specifically, and not NBA level players. 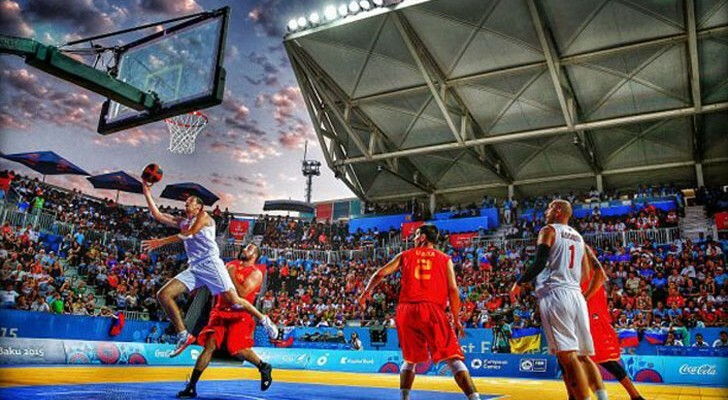 There has been a 3-on-3 World Cup since 2012, which has been run by FIBA, the U.S. has never won the event. The rules are as follows: One 10-minute period or the first team to score 21 points will determine the winner. If a game is tied after 10 minutes and neither team has scored 21 points, than there is an overtime period where the first team to 2 points wins. Some other interesting additions to the 2020 games are a BMX Freestyle Biking competition and mixed gender relay races in swimming.